Russia and the UK have expelled a diplomat each, over suspected espionage, the British Foreign Secretary has said. Russia confirmed this news with regret and said it was a forced measure. The head of the British Foreign Office, William Hague, announced on Tuesday that his ministry expelled a Russian diplomat in mid-December following "clear evidence" of spying. He said that the suspect had voluntary left the mission after Hague asked the Russian embassy in London to withdraw him. He also added that the Russian diplomat, who also was an intelligence officer, violated “the rules of the game” by approaching a certain individual, but gave no other details. The Foreign Secretary also said that Russia responded to the move by expelling a diplomat from the British embassy in Moscow also in mid-December. However, Hague said that the Russian move was completely unfounded. 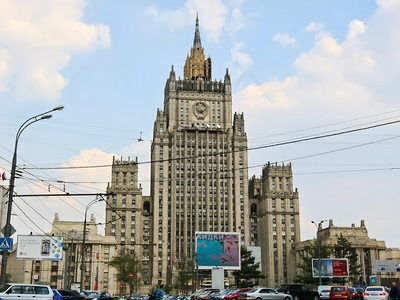 The Russian Foreign Ministry on Wednesday confirmed the exchange of diplomats but said that the Russian side had no other choice. The Russian Ministry also expressed regret that London decided to take such action at a time when Russia-UK relations were improving. “The British side took an unfriendly action by declaring one of the diplomatic workers of our embassy in London an unwanted person without any grounds. We had to take an adequate responding measure. It is regretful that the British side’s actions were taken when the first assuring tendencies appeared in our relations with Great Britain. The responsibility for this incident lies fully on its initiators,” the Russian Foreign Ministry’s statement reads. In early December this year the British media announced that the country’s law enforcers had detained Russian citizen Yekaterina Zatuliveter over suspected espionage activities. Zatuliveter worked as an aide to a British parliamentarian and both her and her friends and relatives strongly denied any ties with intelligence services.About one week after the detention Zatuliveter was released on bail and it turned out that she was only charged with violating British immigration laws.